If you’ve had a look at Line 6’s range of current amps, you might find it a bit tricky to figure out which one might suit you the best. What’s the real difference between a Spider V or an AMPLIFi? They both have access to a massive range of amp models, effects and have an editor app, but they’re still very different amps. 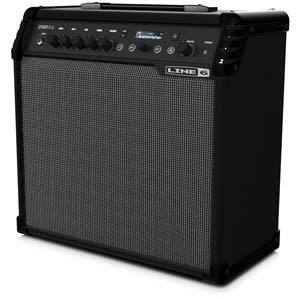 In this guide I’ll give you a quick run-though of Line 6’s current amp ranges and help you figure out which range might suit you best. Alternatively you may want to consider using one of Line 6’s multi-effects pedal to set up all your effects and tones and use a basic amp or speaker system. 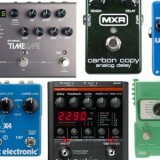 Have a read through my comparison of Line 6’s multieffects pedals to get an idea how this would work. Line 6’s Spider amps have had a difficult history. The latest range of Spider amps was a big step forward – so much so, in my review I explained why I felt Line 6 should of created a new name for the range instead of continuing the Spider name. Technology has improved significantly since the first Spider was released and the Spider V offers a lot of modern features not available before. If you think the Spider V is for you, consider pairing it with a FBV 3 foot controller. While it’s perfectly fine to use the app or the amp to change between presets and turn effect on or off, a foot controller gives you so much more flexibility. It will also allow you to make use of the expression pedal so you can use wahs, pitch shifters and control effect parameters as much as you want. Check out the Spider V range here for more details, prices and more reviews. Who is the Spider V for: if you’re a beginner and are interested in learning about effects, the Spider V gives you access to all effects you’re likely to use. Being able to chain effects together and tweak your own presets on the Spider Remote app is a great way to learn about amps and effects. It’s important to mention that you do not have to use the smartphone app to control the amp. All of the presets can be controlled using the amp’s menu. So if you want an amp with a full range of effects and models, but don’t want to use a smartphone to control it (like the AMPLIFi requires), the Spider V is a better choice. Who isn’t the Spider V for: while the Spider V can produce some great tones, more advanced guitarists may find it lacking compared to other amp ranges. For example the Firehawk 1500 is an all-round better option for live use thanks to it’s extensive I/O and 6 speaker setup. The DT series would better suit advanced guitarists who want great tube amp tones. Check out my review of the Spider V 60 for a thorough look at all the features the Spider V has to offer. One look at the AMPLIFi (shown to the right) and you can tell there’s something different about it. 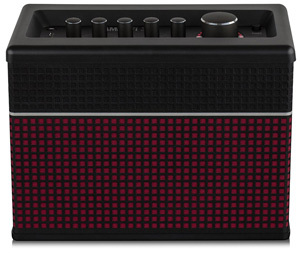 It doesn’t look like a typical guitar amp and has a home stereo look and feel to it. That’s exactly what Line 6 were aiming for when they created the AMPLIFi. Think of it as a hybrid guitar amp and stereo system. Check out the price and full details of the AMPLIFi 30 here. The key component of the AMPLIFi is the iOS app. The app allows you to set up your effects and tones, jam along with tracks and find suitable tones. Without the app, you’re missing out on most of the AMPLIFi’s best features. The Spider V gives you the option of using the app to control settings or the amp’s physical controls. The AMPLIFi doesn’t. If you don’t have a compatible iOS device, the AMPLIFi isn’t for you. Who is the AMPLIFi for: if you have a compatible iOS device and like the idea of having an amp that doubles as a Bluetooth home stereo system, the AMPLIFi will likely suit you. 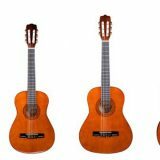 It suits guitarists of all skills levels who play guitar casually at home. Who isn’t the AMPLIFi for: If you don’t have a compatible iOS device, the AMPLIFi isn’t for you. You’re going to miss out on most of the AMPLIFi’s features if you don’t use the app. Also, if you play in a band or perform, other amps may suit you better as the AMPLIFi is best as an at-home guitar amp. 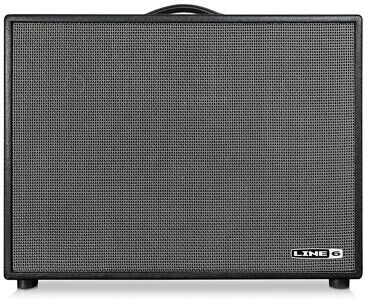 While the 150-watt version could be used for live perfomances, you’re likely to find a better fit with one of the other amp ranges. Check out my review of the AMPLIFi 75 here. The DT range is designed to add more flexibility than a typical tube based amp. The DT range is the only amps in this guide featuring tubes so if you rather the real thing instead of digital modelling, the DT may be more suitable for you. These amps were created in partnership with Reinhold Bogner. Check out the price and availability of the DT25 here. To really get the most out of the DT range, it’s recommended to connect a POD HD series multi-effects pedal to it via L6 LINK. The POD HD series can control the amp to adjust the tube bias, output class as well as integrating all of the POD HD’s effects. For example, you can set up any effects in a virtual effects loop without needing to use the 4 cable method. Combining a POD HD pedalboard with the DT gives you access to 30 HD amp models. On it’s own, the DT is built for quality. When combined with a POD HD pedalboard, it gives you ultimate control over your tone. Who is the DT for: if you’re serious about your tone and want a tube amp, the DT is a top choice. It will give you plenty of flexibility over all aspects you would want from a tube amp. As it doesn’t have inbuilt effects, you can choose to use stompboxes or other options. If you’re considering the DT, consider pairing it with a POD HD500X for ultimate control. Who isn’t the DT for: tube amps aren’t for everyone. While they can produce amazing tone, they’re not for beginners. If you don’t know anything about tube amps, take that as a sign that you might not be ready for one. If you’re an at-home guitarist, you may find that flexibility may be more important to you than high-end quality. You may find you enjoy an amp like the AMPLIFi more, even though the DT produces better tone. The other reason you may not want a DT is if you want an all-in-one amp that can give you effects as well. The DT doesn’t have inbuilt effects like all the other amps, so you would need a pedalboard or stompboxes. This may suit a lot of guitarists, but if you want a simple setup that does everything, the other amps may suit you better. The Firehawk 1500 stands out compared to the rest of the amps in this guide as there’s only one model available at the moment: a 1500 watt, 6 speaker stage amp. The Firehawk FX multi-effects pedalboard has been extremely popular for its high-quality modelling and flexibility. The Firehawk 1500 takes the same features and packs it into a monster amp designed for live use. You can use the Firehawk 1500 as a normal guitar amp, in stereo/mono or wet/dry at any volume level. 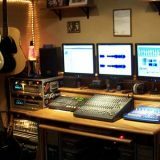 Live guitarists could use it as a stage monitor, in place of an ISO cab or as a full range amp system. As it’s a full range speaker system, it works perfectly fine with acoustic guitars as well as electrics. Check out the price and full details of the Firehawk 1500 here. To get the most out of the Firehawk 1500, you should consider getting an FBV 3 foot controller. The color coding system is a fantastic design and makes it a breeze to switch effects on/off and move through presets. Who is the Firehawk 1500 for: serious live performers. The Firehawk 1500 has been designed specifically for live performance, so if you’re looking for an amp to use live, this should be one of the main choices to consider across all brands. It gives you a wide range of modern features and excellent quality tones. Who isn’t the Firehawk 1500 for: if you don’t perform live, the Firehawk 1500 isn’t for you. There are other options that will suit you better depending on what you want from an amp. You’re not going to need a 1500 watt guitar amp if you only play at home or only occasionally play in small venues. It’s hard to give solid recommendations of one amp over another as there’s a lot of overlap between the features across these amps. You may find that two different types of amps suit you really well or you may find none fit quite right. The Spider V 60 or 30 or the AMPLIFi 30 will likely suit you best as they’re the lowest cost amps and offer a wide range of amp models and effects. If you don’t have an iOS device or don’t want to use one, the AMPLIFi won’t suit you. The DT or Firehawk are both great amps, but aren’t the right fit for beginners. If you want an amp you can use in gigs, band practice and at home, the Spider V is likely to suit you best followed by the AMPLIFi 150. Again, if you don’t have an iOS device, the AMPLIFi is out. While the DT or Firehawk are excellent amps for live usage, they’re far more expensive and complex to deal with. If you like jamming at home on occasion and don’t take guitar too seriously, the AMPLIFi 30 or 75 is a great option as it doubles as a Bluetooth enabled home stereo system. Other people in your home can use the amp to play music without needing to know anything about guitar amps. When I say ‘serious’, I mean when it comes to tone. If you care about what type of tubes or speakers are in specific amps, that’s a sign the DT25 is right for you. It will give you a simple tube amp with a lot of flexibility. You’ll get a high-quality amp that can still perform well at low volumes. If you perform live as well, it’s a solid live amp. The Firehawk 1500 was designed to be a serious guitar amp for live performers. It offers plenty of options to suit any live situation. 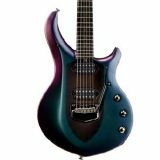 Acoustic, electric or Variax guitars with a full range speaker system and plenty of amp models and effects. Alternatively if you feel like you need to have a tube amp, consider a DT25 and a POD HD500X connected via L6 LINK. That combination will give you ultimate control over your tone in ways other amps and pedalboards can’t come close to. As Line 6 create more amps, this guide will be updated. Make sure you check out the comparison of Line 6’s multi-effects pedals to see whether those options suit you better than the amps in this guide. A comparison of Line 6's current amp range and which amps might suit different guitarists. Compare their current range to figure out which one is best for you.